militancy in this extreme sport of great media appeal together with the successes achieved, Althea is the perception of great appeal and appreciation at international levels not only for its industrial capacity in the ceramics sector, but also as one of the best Teams in the world, a reference point for every rider or 2 wheels enthusiast. 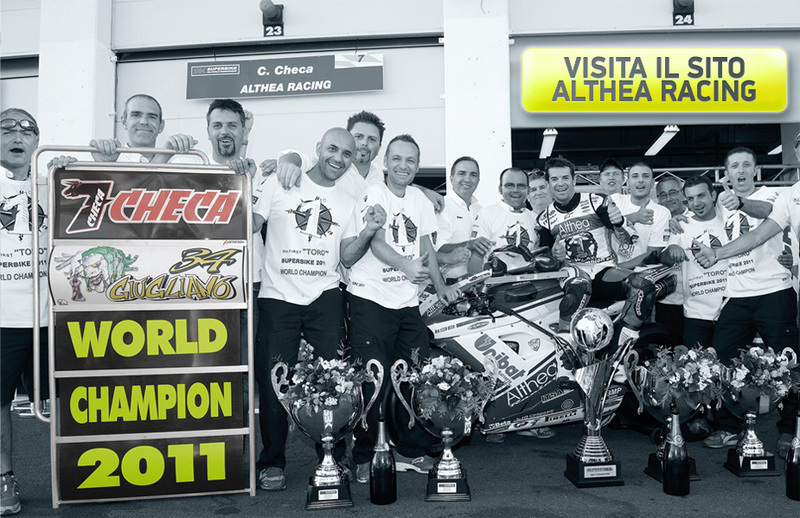 The Althea Racing department is sited at the parent company of Ceramica Althea SpA, an avant-garde structure which houses offices, design and planning departments, workshops, test benches, spare parts warehouse and a development engine room where a team of experienced professionals and enthusiasts work together. The Team’s technical staff counts among its ranks the best engineers of the sector entrusted with the bike’s technical direction on the racetrack, always available for the riders. Strong attraction and destination of the “pilgrimage” of visitors from all over the world is the museum named “Moto dei Miti” which is part of the structure. 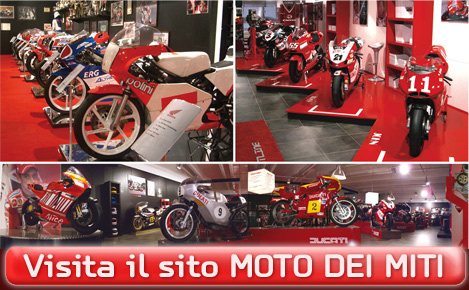 In the same are on view more than 100 motorbikes that represent the best sport evidence and the world successes of each motorcycle category and manufacturer. Many of them are titled World Champions.